If you’ve been frustrated by stains, rust, or hard water deposits on your stainless steel sink, then you’re going to love Bar Keepers Friend! 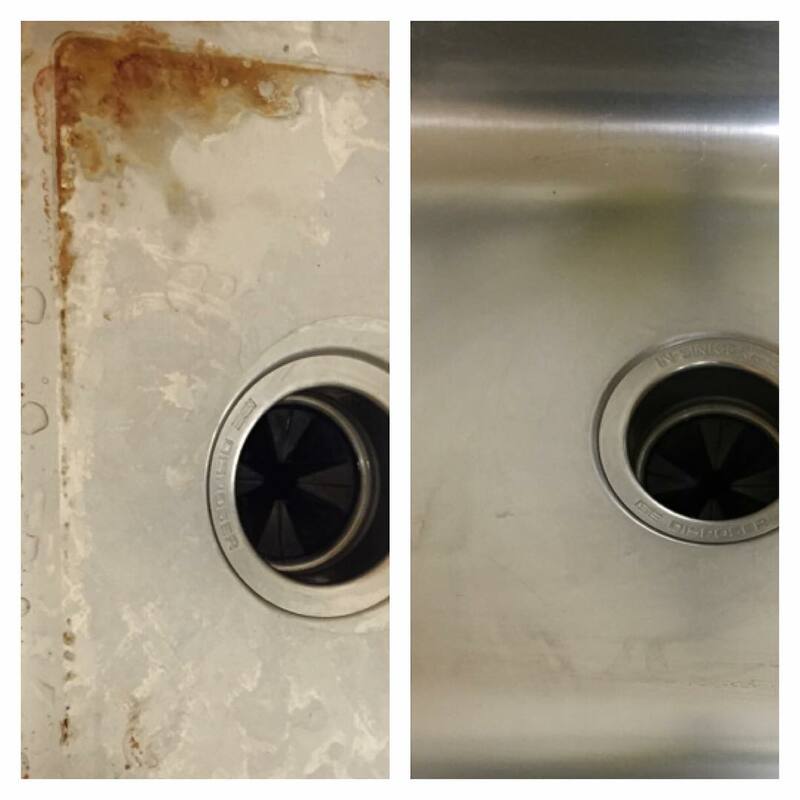 Our cleaners are renowned for their ability to clean stainless steel sinks — even the dirtiest ones. Bar Keepers Friend is a bleach-free product that tackles rust stains, hard water deposits, scratches, sulfur stains, and more. 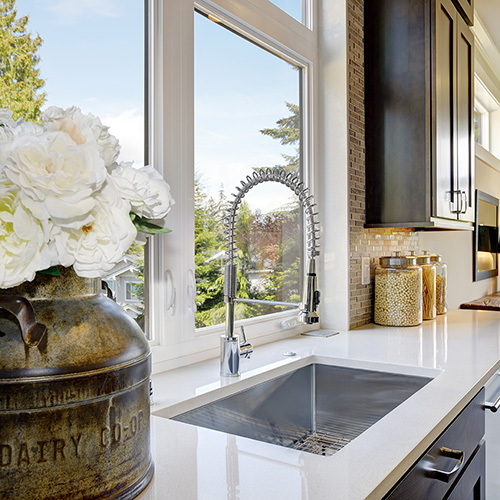 We’re proud to be recommended by companies like Delta Faucet, Elkay, Kohler, Ruvati, and others for cleaning their sinks and stainless steel faucets. After days trying to remove a large stain from a stainless steel sink, using scourers, all sorts of products, etc, I was about to give up and admit that I would probably have to replace the whole sink unit (rented property.) I remembered hearing about Bar Keeper's Friend and thought I'd give it a try; nothing to lose at that point! Well, just used it (powder) and it got rid of the entire stain in less than a minute of scrubbing with a sponge! I'm floored and very grateful I now won't have to pay out for a new sink! I can always count on BKF to maintain my 29-year-old stainless sink. It is the best product I have ever used!